Sometimes customers have special requests for us. We have the tools and equipment necessary to engineer and build custom products. 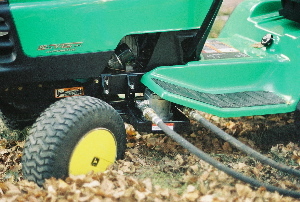 These products range from special tractor attachments to adaptive equipment for people with disabilities. In the tiny space under one of the floor boards of this garden tractor, we were able to fit a full power hydraulic pump. 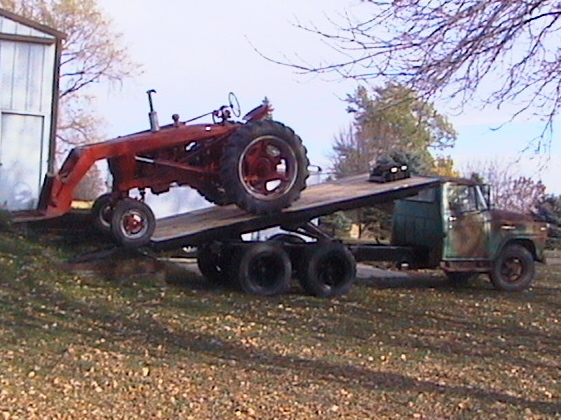 This 1960 IH grain truck was converted into a custom tractor hauler complete with a 20000lb winch and a tilt bed. 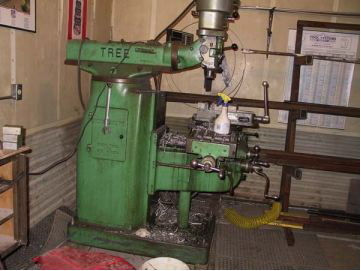 We have a milling machine, lathe, and other tools which allow us to create the parts necessary for most custom jobs in house.